Please note our September Special has now ended. Congratulations to all those who signed up to enjoy unlimited Yoga & Meditation – we look forward to seeing you around the studio a lot more! To help you embrace the energy of spring we’re making it more affordable than ever to enjoy all the Yoga and Meditation you could want. Get a 12 Month Unlimited Membership for the very special rate of just $97 per calendar month – that’s less than the price of a single Yoga class each week! Even if you’re practicing just twice a week it’s an irresistible $11.20 per class, but why not take full advantage of your unlimited access to our entire range of 40 weekly classes and make it even better value? Only available during September and limited to the first 75 sign ups – last year’s offer did sell out, so be sure to secure yours early! Already have an active class pass or membership with a few weeks to run? We don’t want you to miss out on this limited time special rate! 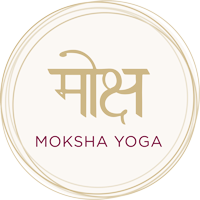 As long as your 12 monthly payments commence within this special offer period of 1 – 30 September 2018, your 12 Month Unlimited Membership only begins when this pass is first used to attend a class – meaning you’re free to purchase today and the full duration of your 12 months’ unlimited access will only start once you’ve completed your current Moksha pass (or will be automatically activated on 31 December 2018, whichever is sooner). Your Unlimited Membership gives you access to all Yoga and Meditation classes at Moksha, includes free entry to our Living Yoga Philosophy classes and provides a 10% discount on our Yoga Intensives and workshops. Special promotional rate applies to 12 Month Unlimited Membership instalments commencing between 1 September – 30 September 2018 and cannot be used in conjunction with any other offers, discounts or promos. This offer is limited to the first 75 of our 12 Month Unlimited Memberships sold in September 2018. Unlimited Memberships are non-refundable and non-transferable. Full conditions of this agreement and payment terms are displayed prior to online purchase and agreeing to these activates your contract of 12 monthly instalments. Visa and MasterCard details are accepted at the online checkout to set up your Direct Debit. Alternatively, to set up a Direct Debit from a bank account please visit us at the studio to purchase. If you have any questions feel free to either email info@mokshayoga.com.au or call us on (03) 9557 5885 and we’ll be happy to help!